Arty here: Before we get to the good stuff, I thought I would start with a little about Monica. The first time I saw her, she was wearing an apron with holsters that contained decorating bags of royal icing and wearing cowboy boots. Like a cookie vigilante. As you can imagine, it was love at first sight! Monica is hilarious, kind-hearted, down to earth AND an incredible artist. 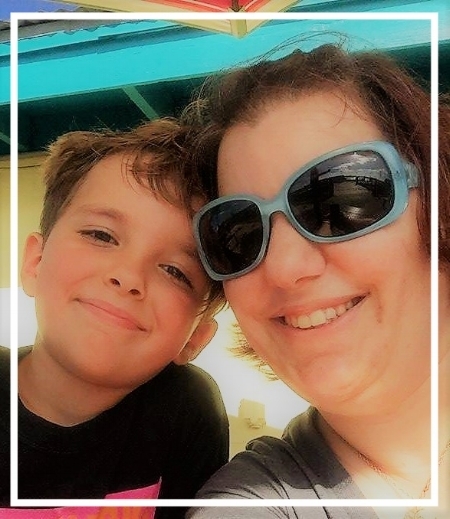 And a great mom and devoted wife, and is always thinking about others, and and and I could keep going on and on about how awesome she is, but I’ll stop there. I know why you came here. So without further ado, the one and only royal icing toting, cookie slinging, rootenest tootenest cookier in the Wild West: The Cookie Cowgirl!!!! Hello fellow Mc Goobers, and…Aloha! 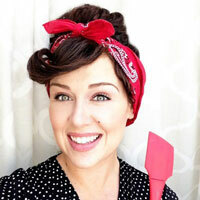 For those that don’t know me, my name is Monica Holbert, aka the Cookie Cowgirl. I fell in love with making cookies about 5 years ago and never looked back. One of the things that I love about making cookies is how versatile they can be. Little bites of dough and icing that transform into anything the imagination can conjure. We all make beautiful cookies, but then how do they taste? Doesn’t that question just send shivers down your spine, I mean they are cookies first, right? They should taste just as good as they look, otherwise what’s the point? Why am I talking about flavors? It’s because I LOVE flavored cookies. 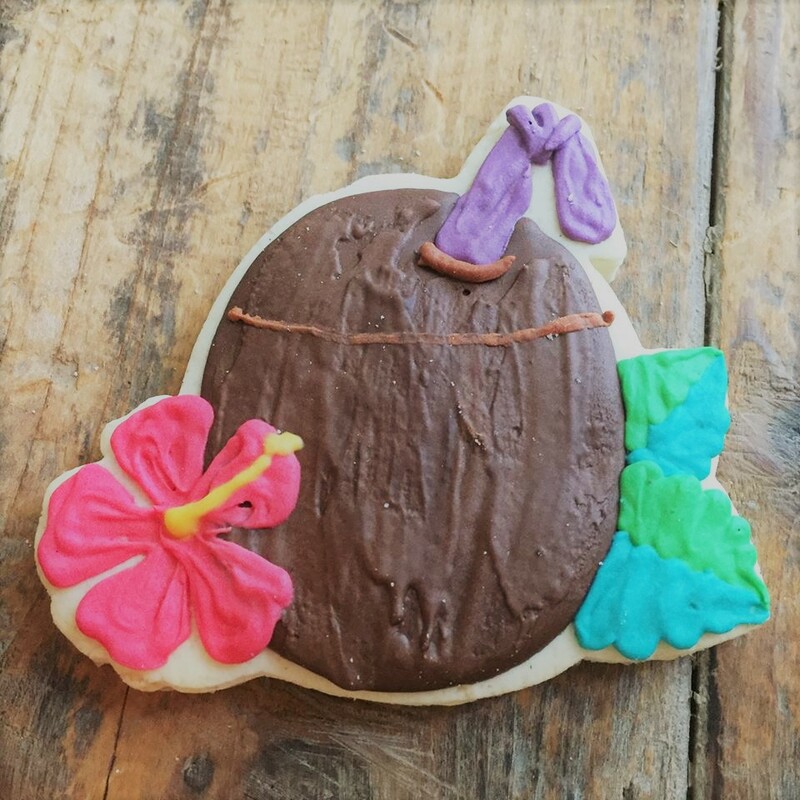 I have probably done over fifty different flavored cookies since I started, but tiki cocktail flavors have got to be my favorite and that’s what I want to have a chat with y’all about. 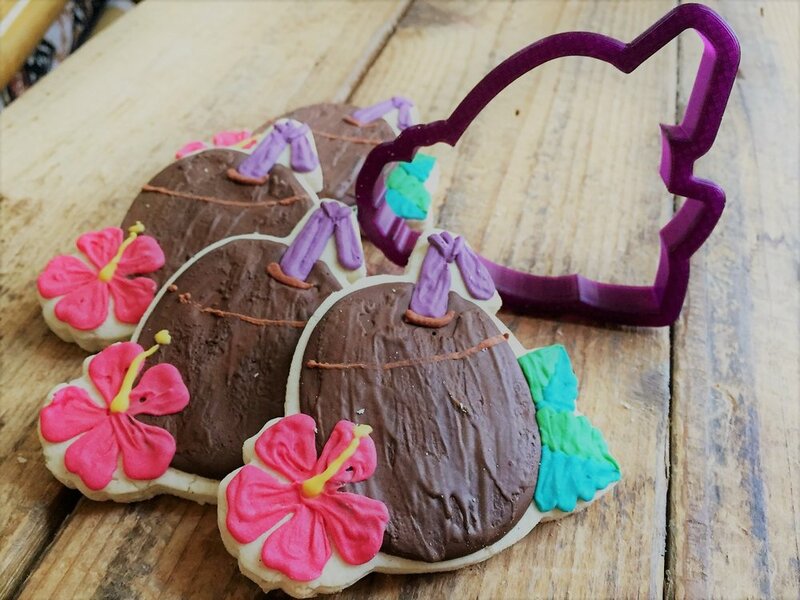 My first try at making tiki cocktail flavored cookies was three years ago when my husband attended a tiki conference in Oregon and asked if I would make cookies that he could hand out to people to help break the ice and make some friends. We chose Mai Tai for our cookie flavor and I got to work on the recipe. It took me five batches of dough to get it right, one had too much lime, one not enough almond, one too much orange, you get the idea. Mixing a good cocktail is an art; the flavors are all very deliberate and must be balanced perfectly. But how do you achieve balance? Well, I can tell you it’s not with just extracts or emulsions. The key to my success is using fresh and natural ingredients whenever I can. When you are able to use different types of ingredients, not all the flavors hit you at once in that first bite. As you chew you taste the different zests or spices and it’s totally amazing. Citrus Zests: Orange, lemon, lime, even grapefruit. A little goes a long way and the oils only get stronger in the cookies. 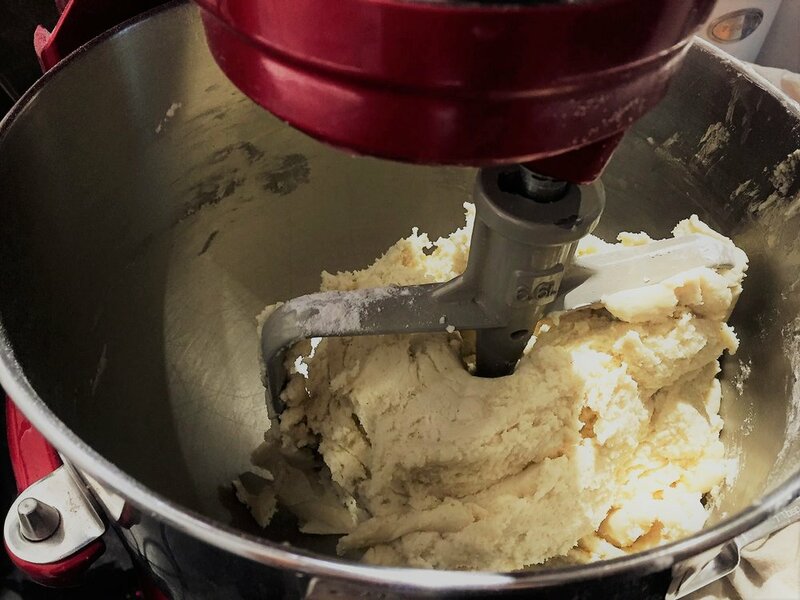 Note: zest does not generally work well in icing (it can clog your piping bag), but you can add the same flavor juice or citrus extracts if you need an extra punch of flavor to go with the zest in your dough. Frozen Juice Concentrate: Frozen concentrate makes a wonderful flavoring, just let it thaw… you can even add it to icing. You can use regular juice but the concentrate has more punch for the amount of liquid you’re adding. Cocoa Powder: cocoa is a great compliment to many flavors and you can add just a little bit to mellow some flavors and add a great color to your dough. Jell-O: yes, JELL-O! It’s been in recipe books since the 50s and those girls knew how to a make a tasty cookie. A little goes a long way and it adds a very clean flavor without the added alcohol. There are even a bunch of all natural Jell-O flavors out now, so give them a shot. Alcohol: So it doesn’t take much, but many rums, bourbons, even beers, have a truly unique flavor that you can only get from adding the real thing. Fair warning: alcohol can break down royal icing’s ability to form peaks. While not everyone mixes their icing the same way, I usually mix mine to a soft peak and then use a 50/50 blend of alcohol and water to dilute my royal for flooding. Spices: Cinnamon, Nutmeg, Ginger, Lavender, Cardamom, Allspice… powdered spices are the simplest and most universal way to add flavor without changing your dough consistency. The thing to remember about extracts and emulsions is that the first ingredient in them is alcohol. Why does that make a difference? My experience is that you get what you put in when it comes to ingredients. Have you ever tried to taste an extract? It’s pretty disgusting. You are honestly not adding any more flavor, just extra alcohol. The nice thing about using non alcohol based ingredients is that you can taste what you put in right away, without waiting for the flavors to bake out. The bonus is how wonderfully inviting the dough looks too, all the little specks of zest or spice…it just adds a whole new level to the way your cookies look from the start. I would also be remiss if I didn’t mention that Mexican vanilla is absolutely amazing and everyone should have a bottle in their baking arsenal. 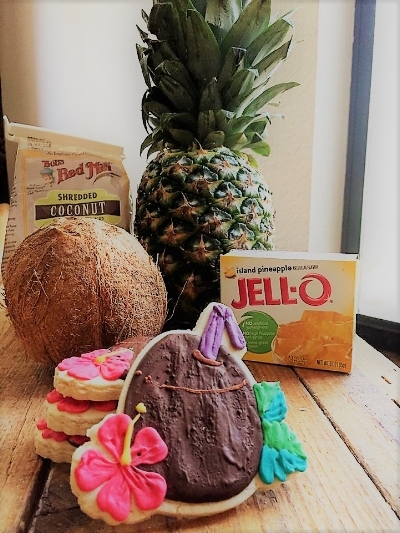 So this is a first for me, and something special just for you, I made this recipe just for you guys as an example of a typical cocktail cookie I would make… A Piña Colada flavored cookie. This recipe will probably make about 2-3 dozen cookies depending on the size of your cutter. • Cream butter & sugar together until light and fluffy. • Add pineapple juice, coconut creme, and eggs one ingredient at a time until well blended. • Add Jell-O, coconut flakes and salt one at a time until well mixed. • Add flour one cup at a time, mixing well between cups, until the dough pulls away from the sides of the bowl and stays in one large ball in the middle (no dough on sides of bowl). Careful that you don’t over mix or add too much flour. • Roll dough as desired and cut into shapes. Bake at 350 degrees for approximately 11 minutes, rotating trays half way through, until just starting to get golden brown on edges. The stuff here is just my opinion by the way. I know a lot of you make wonderful cookies using stuff that I don’t typically use, I’ve tasted them; they are awesome. I also know a lot of people generally stick to one, maybe two, flavors of cookie. My hope is this will give you some ideas for the next time you’re feeling adventurous and you’ll add something new to something you already love. Previous PostIt’s a brand new year! Meet a brand new McGoober! Guest Post: Nancy aka: The Colorful Cookie! 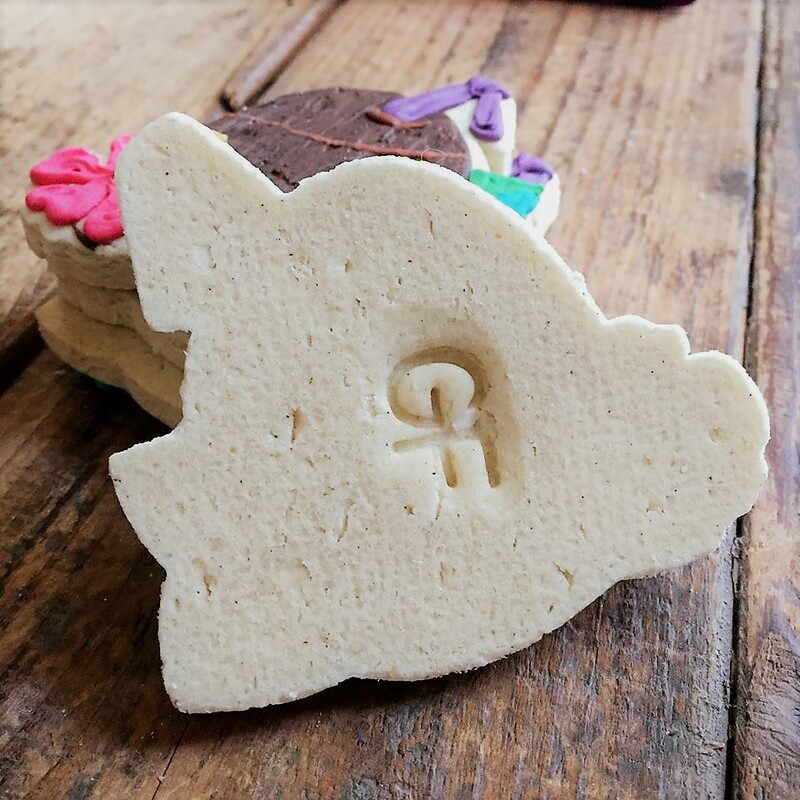 All about CookieCon….psyche! It’s all about Sonya! I love this post…and that rooten, tooten cowgirl to pieces!!! Thanks, Monica!! Awesome post Monica!!!! I see Pina Colada cookies in my family’s future!!! Thanks for inspiring me to get adventurous with my cookie flavors!!!! !